Over the past few years, since I started this website, I have been inadvertently making myself a target for questions such as “which film camera should I buy?” and “what’s the best film camera?” My Instagram is the greatest source of these questions, which is not surprising really since I’ve filled my feed with pictures of film cameras – I guess people think that I’m some sort of expert and therefore that I must know the answer to these sorts of questions. Unfortunately, I don’t know the answers – but, If you’re someone with these questions in mind, I can hopefully help you find the answers for yourself. 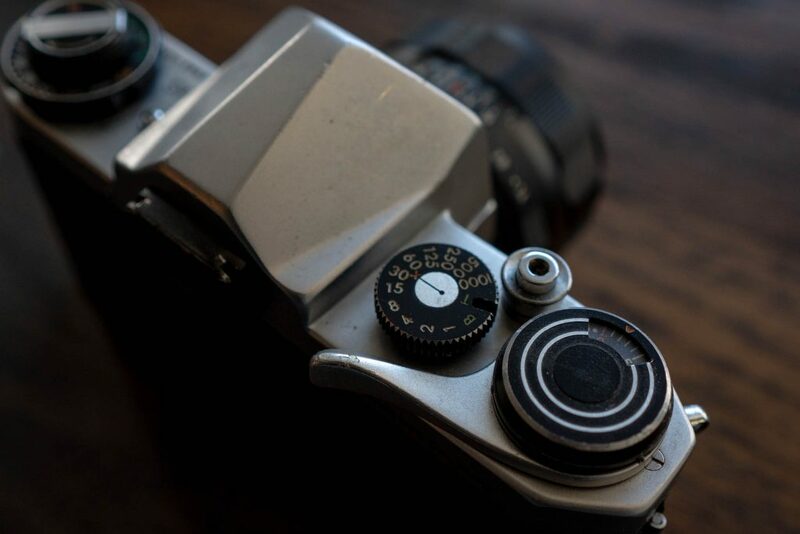 This post is largely aimed at beginners into the world of film photography. Below you will find out why I don’t know the answers to these questions, why I don’t make specific recommendations for particular cameras, some thoughts around buying your first film camera, what sort of camera might be right for you bearing some of the core principles of photography and how much you want to learn, some details on different types of cameras, and finally some advice around not falling foul of something called GAS. No time for the expert answer? 1 No time for the expert answer? 3 So why am I writing this post? 4.2.2 So what does all this mean to you? As I’ve said, I must look like an expert by the merit of all the cameras I’ve posted on my blog and social media – the irony is, I think only a few people who ask me these questions want the expert answer. I think most people asking the question want me to tell them the name of a specific camera that will be perfect for them. Let me just say now, if I’ve directed you to this post, or you’ve found it looking for a specific camera recommendation, you won’t find one here! Secondly, I can’t predict any individuals personal preferences and goals. As I’ve alluded I have preferences when it comes to cameras, and goals with what I want to do with them. We all do, and you will too. Because of this, over the years cameras have been designed in lots of different ways to suit these different preferences and goals. Combine that with technological advancements that have happened over the last hundred or so years, and the possibility for what might make the right camera for you is almost endless. As such – and as I will come to in much more detail – there is no right answer to the question. Quite simply, there is no best camera! 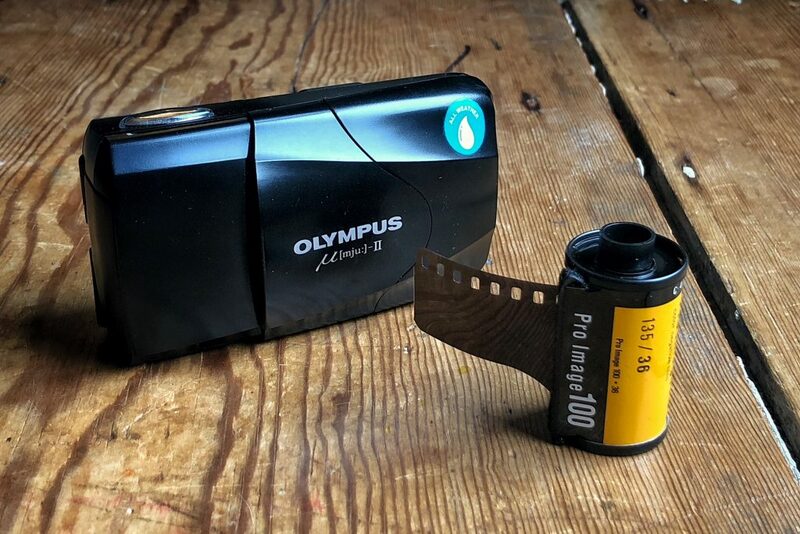 It might seem odd that I’m writing a post designed to help people find their first film camera when I’m unwilling, and frankly entirely unable to make a specific recommendation…? Well, if I’m honest, to a certain degree it comes from a place of being a little exhausted by being asked these questions. Not least because providing my best effort at an answer is often so profoundly unrewarding – though I must admit, some of this probably my own fault. Because of my awareness of all the variables, helping someone find out what kind of camera might be right for them takes me asking a few question to dig a bit deeper into how much they already know, what they think their goals are, and if they do already have any sort of preferred type of camera. Unfortunately, I would say the majority of the times I’ve tried this approach, people end up getting bored and not getting back to me! In fact, I find that only a small percentage of people understand this need for me to ask them questions to give them a good answer. The worst of it is that people losing interest in me trying to help them has happened so many times that I’ve now become quite cynical and don’t give many people as much time as I used to. Unfortunately, this means that the few people who are genuinely interested in what I have to say are getting a much less involved or interested response. I happen to know I’m not the only camera blogger who’s had this experience too. As such, as I’ve already hinted, this post is aimed at those few people who do want to understand a bit more, and not those looking for quick answers. If you’re looking for a quick answer, get yourself over to YouTube where you’ll find a good few people who think they know more about what’s right for you than you do. 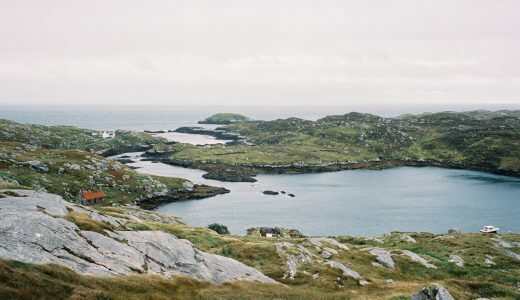 I’ve spent a lot of time writing about film cameras over the last few years, so to some degree I suppose that does make me some sort of expert – I’m certainly aware of the existence of a huge range of different cameras and many of their respective pros and cons. But, as I’ve already said, if there’s one thing I’ve never thought, it’s that one particular camera is the “best”; not for me, and certainly not for anyone else – there are just too many variables for any one camera to be “best” for anything. Even beyond an individual’s goals and preferences, there are vast amounts of variables. The variables within photography are so vast in fact that even the most in-depth tomes on the subject don’t cover it all, or even come close. I know a tiny fraction of what there is to know about photography – but I know enough to have a really good understanding of the fact that the subject is practically speaking, infinite. As such – and as any photographer worth their salt will tell you – the camera is only a small piece of the photography puzzle. Funnily enough, this is even more the case when you’re just starting out, when really, for a large part, having a camera that simply works is arguably more important than choosing a specific make or model! This, quite neatly, leads me on to my first tip – and I do think that this is quite important! 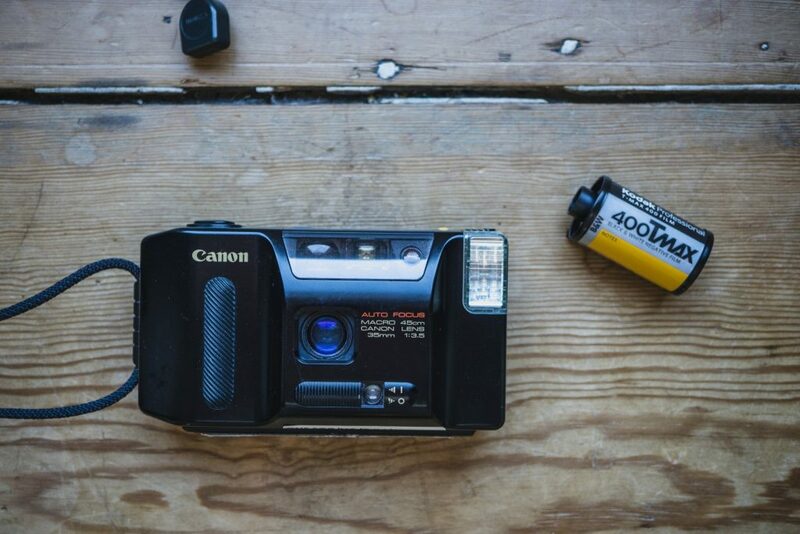 Buying your first film camera, you need to ensure that the camera you buy is functioning exactly as it was designed to. If you’re new to photography, having a camera that doesn’t work as expected can cause you all sorts of issues. Even now, with all my experience with cameras, when faced with a camera that’s not working properly when I assume it is, it can confuse me. Just the other day I was faced with a camera that I assumed to be working but that had a small fault. This small fault really baffled me, as at first it made me question if I was using the camera incorrectly. The chap whose camera it was had been using it without even knowing it wasn’t working right – in fact, he’d brought it to me to check it over. I eventually diagnosed an issue with it that probably means the shots he had taken with it up until that point won’t come out as they would’ve if it was working properly. Without my input he would possibly assume it was something he did wrong, and not a fault of the camera. And even if he did think it was an issue with the camera, without having much experience of other cameras it would likely take him some time to diagnose the issue. Unfortunately, this is one of the key downfalls of getting into film photography. 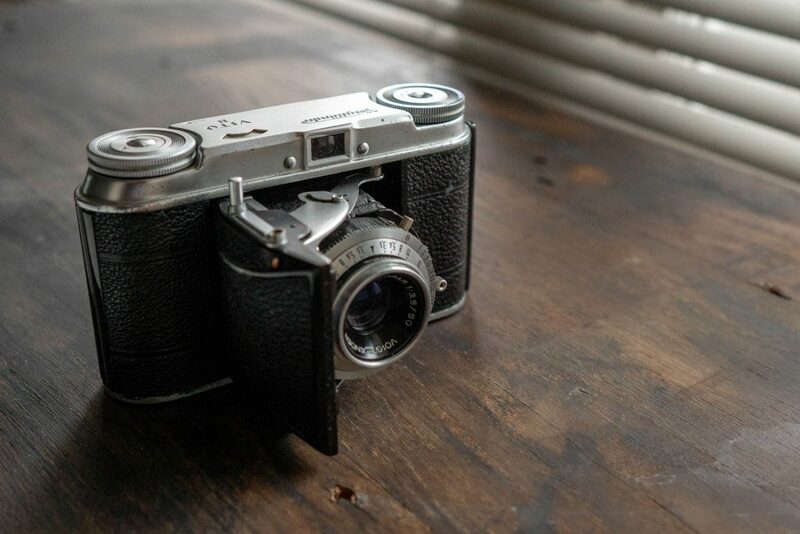 There are very few film cameras still made today, meaning the second hand market is really the only option for buying one. This means the likelihood of buying a camera that doesn’t work as it should is a real issue. There are loads of ways you can test cameras of course, but as a beginner, many of them can be quite confusing. As such, for the sake of your first film camera, it’s better to have someone in the know do the testing for you. If you know someone who knows a lot about cameras, great, take them with you when you buy one, or at least get them to test it before you go out shooting with it. If you don’t know anyone who knows about cameras, your best option might be to buy from a reputable dealer and being firm with them about your need for them to double and triple check that what you’re looking to buy does indeed work as it should. With all this said, there’s definitely still an argument to be made for buying the right sort of camera for you. Different brands competed with each other with similar models with similar functions and features, as such the differences between one model and the next can be very subtle. These subtle differences will be mostly meaningless to you as a beginner, but it’s still important to have a camera that suits your needs. For example, there is little point in buying yourself a camera that you either can’t use, or don’t have the desire to learn how to use. As such, my second tip – which I’m going to expand upon a fair bit – is to buy a camera that is going to suit how much you want to learn about film photography, how quickly, and in what order. As I’ve alluded to, there is a lot to learn, find out and understand when it comes to film photography. What’s relevant about this when it comes to camera choice is that different cameras will mean you need to learn different things in a different order, and therefore will suit different people for different reasons. This of course comes back to those preferences I previously mentioned. The issue is, if you don’t know anything about photography, it’s going to be hard to define or understand what your own preferences might be. You’re going to have to bear with me now, as the following is going to be a bit of a crash course in the basic principles of photography. To some this will might be teaching granny to such eggs, but to others this might all seem to be a little bit complicated. But, this is important background stuff that will hopefully help you make a better decision about what sort of camera might be right for you. Fundamentally there are only two things you need in a camera. You need it to be able to focus, i.e. take a sharp/not blurred photo; and you need there to be some control over exposure. As I will come to, both of these can be controlled by you, or automatically the camera, depending on the camera you choose. Tackling exposure first. In very simple terms, exposure is what governs the amount of light that hits the film inside the camera, and how the film reacts. More light equals brighter photos and less light equals darker photos. Additionally, different types of film are more sensitive to light than others – this is defined by something called the “ISO”, film “speed”, or the “sensitivity” of the film (all the same thing, just different words). As such, in very simple terms when it’s really bright you might want to limit the amount of light coming into the camera and/or use a less sensitive film, and when it’s very dark you might want to get as much light into the camera as possible and/or use a more sensitive film. The decisions that either you or the camera will need to make to take a well exposed (not too bright or too dark) photo are based around something called the “Exposure Triangle”. 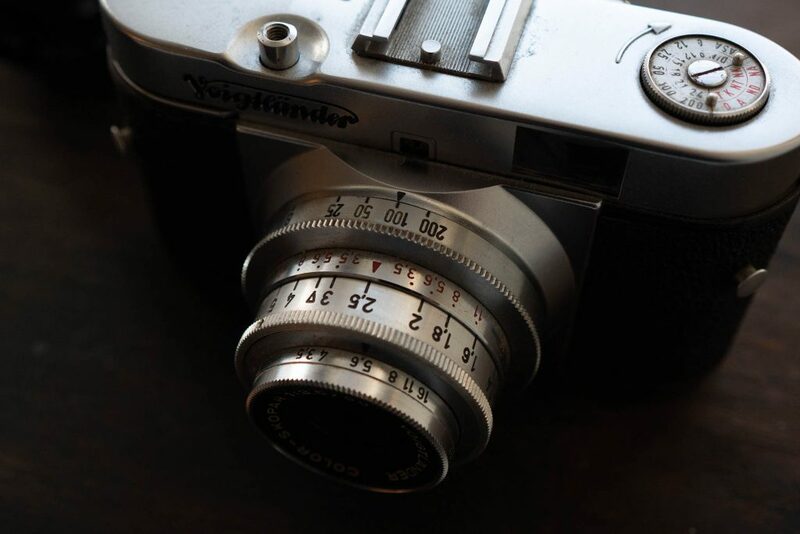 The exposure triangle is made up of the aforementioned sensitivity of the film, the set “aperture” which defines size of opening/hole in the lens and therefore how much light gets through, and the “shutter speed” which defines the amount of time the camera lets light hit the film. In the early days of photography, photographers were forced to manually set shutter speed and aperture based on taking a separate light reading and translating that into appropriate settings for the sensitivity of the film inside the camera. Over the years silence camera manufactures developed cameras that helped with the choice of shutter speed and aperture. Initially they had built in light meters that read the light and told you to what setting the camera needed to be set, then later automation kicked in and cameras began to get clever enough to make the decisions about what settings should be used to get a well exposed photo. The exact same can be said for focusing systems. Early cameras relied entirely on the user setting the focus, some later cameras have automatic focus that means the photographer can point the camera at the subject and let it do the work. There is more to focusing than this though. There is a function of a camera’s lens called “depth of field” – or to make things more easy to understand, “depth of focus” (or “DOF” for short). Depth of field governs how much of the photo in front of the lens will be in focus. Narrow depth of field means what is behind the subject will be more blurred, and a broad depth of field means that there will be less blur, or perhaps even no blur behind the subject at all. What’s really important here is that depth of field is controlled by the aperture of the lens, which as I’ve said is one corner of the exposure triangle. A smaller aperture in the lens lets less light in, but means that there is more depth of field. As such, if you want more depth of field, you either need to use a more sensitive film or a slower shutter speed. 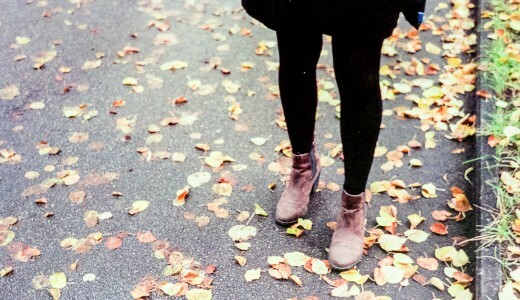 If you want less depth of field you might need to use a less sensitive film or a faster shutter speed. Of course, slower or faster shutter speeds have other impacts on the outcome too. Use to slow a speed with a moving subject and you might find you end up with a motion blurred subject. Equally, as a general rule, the more sensitive the film, the more grainy the photo. The exposure triangle is about balance – camera settings are reciprocal, change one and you need to change another to retain the same exposure. “Correct” exposure is therefore a creative decision that expands beyond just how bright or dark your photo is. Get your head around this stuff, and you are pretty much set – the issue with the exposure triangle as a concept is that it’s quite tricky to get your head around as a beginner. But – and this is the main reason I wanted to highlight all of this stuff – different cameras require different levels of understanding to use them. Some cameras will enable, or perhaps even force you to learn more, whereas some cameras do a lot more, or even everything for you. I just want to add at this stage that if you didn’t understand that stuff above, you’re going to have trust me when I tell you that the moment the exposure triangle clicks in your head and you fully understand it all, you’ll look back and wonder why it once seemed so complicated. That said, as I will come to, whilst it’s good to know this stuff, it’s not essential if you have a camera that automatically controls some or all of these functions. As you might guess, more automatic cameras do more for you and more manual cameras do less. More manual cameras require the user to have a greater, or in fact sometimes complete understanding of the exposure triangle to get a good result. Whereas more automatic cameras – at least as a general rule – allow the user to take photos with less of a need to have as much knowledge about what’s going on in the camera. 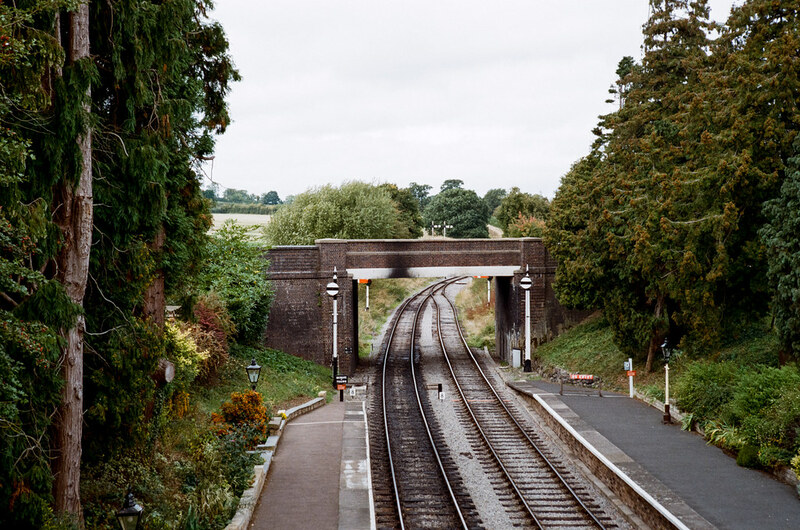 This might make some people more inclined to buy a more automated camera to start with – the problem is, sometimes these automatic features can become a hinderance to learning. A fully automatic camera for example often might not even tell you the settings it is choosing, thus completely hiding the core functions of the camera to a point that it makes the learning process quite difficult, or at least a touch counter-intuitive. Worst case scenario, automation can in fact become a crutch, even to those with a desire to learn. On the flip side, fully manual cameras require a lot more learning even to take a single photo and get a good outcome, but they can provide the perfect platform for learning and understanding the core principles of photography without layers of automation getting in the way. To make things even more complicated, camera choice between automatic and manual isn’t binary. Cameras range from fully manual, through having minimal basic automatic modes, all the way through to mostly automatic and fully automatic. Cameras have also been designed with different users in mind. 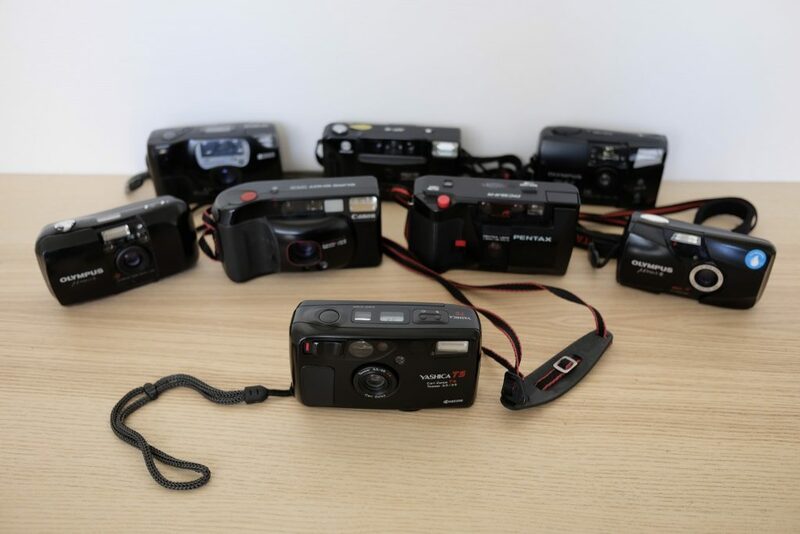 Some were designed for mum or dad to take snaps of the kids, with the opposite and of the spectrum being cameras that were designed for professionals. Even professionals like automation, but how a camera is automated and designed for a pro, is very different to how a camera is designed for and automated for a casual holiday snapper. It’s hard for me to say what all this will mean to you. I don’t know you, I don’t know how you learn and I don’t know how much you have a desire to learn to get to the stage that you can get a good result. Only you can answer those questions about yourself… hopefully it’s pretty clear by now why I don’t like making specific recommendations about what camera any individual should buy. What I will say though is this: Anyone who tells you “manual” is just for professionals or experts or that automation is “cheating” is talking utter nonsense. There was a time that there were only manual cameras, and there were plenty of casual snappers learning the core principles needed to take good photos. Equally, as a professional, especially on jobs such as events, I completely rely on various automatic modes, and make no excuse for it either! What makes a good photographer, at least when it comes to the tools, is one that knows how to use them best to get the desired results. Personally, I’d encourage everyone to learn the core principles, but I know it’s not essential. I know successful photographers who struggle with what I think of as the basics. Equally, there are plenty of people who know lots about photography but are fairly rubbish at it in practice. The key is finding what works for you. Hopefully though, some of the above will give you some clues. The next trick is going to be deciding what level of automation or otherwise might work for you, and translating that into the specific type of camera that might suit you best. As I’ve made clear, I’m not going to make any specific recommendations about particular cameras. What I am going to do is go over a few details and differences between camera types. I’m hoping that combined with some of the above, this should translate into you at least having a better idea of what sort of camera might work for you. Everything I am going to talk about here takes 35mm film, otherwise known as 135 film cartridges. This film is the most common and the most economical, so is definitely the best starting point for the beginner. Point & shoot cameras tend to be autoexposure and autofocus. As such they are probably best suited to those who want to just get on with snapping without having much desire to learn the core principles I talked about above. Many of them don’t tell you what shutter speed or aperture the camera is set at, or the distance the lens has focused to. They give little control to the user and where largely speaking designed for the consumer market. They aren’t foolproof, but for the most part take ok photos. Point & shoot cameras come in fixed and zoom lens variants. Fixed lens cameras are slightly better in lower light, zooms are more versatile in good daylight, but the lens quality might not be as high. One tip: look out for a model that allows you to switch off the flash as you’re quite likely to find that option useful sooner rather than later. 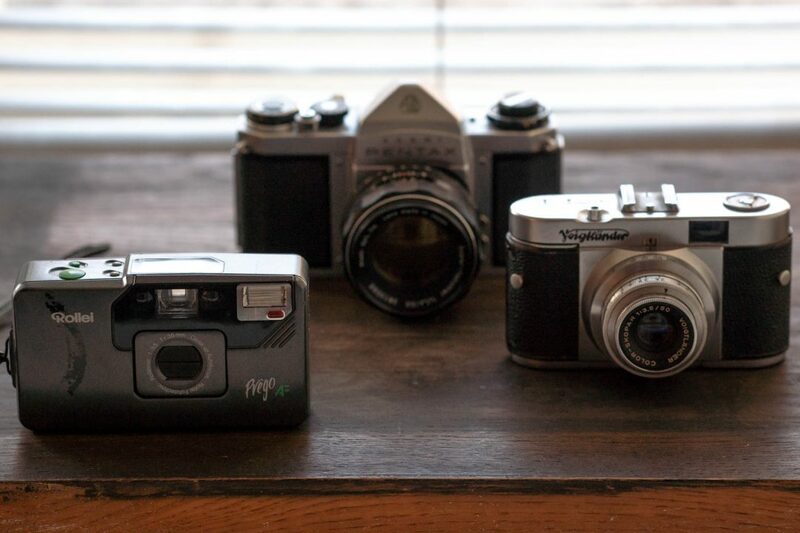 A subset of point & shoot cameras is what I call advanced compact cameras. They offer pretty much the same user experience, but tend to be made of metal instead of plastic, have some manual controls and often have customisable features. Scale and Zone focus cameras are broadly the more consumer oriented cameras that came before the point & shoot cameras above. They are all manual focus, with zone focusing being something you do based on an understanding of depth of field and scale (or symbol) focusing being something achieved by looking at symbols that represent distances. These cameras range from fully manual cameras that have simple meters built in to tell you what exposure to set, all the way through to fully automatic exposure cameras that just require you to set a focus distance. Again, the automatic ones aren’t fool proof, but they can be fairly reliable in good light. There are so many different makes and models of this type of camera with different levels of automation that they do make great option for the beginner looking to ease themselves into learning some of the core principles of photography. You can find loads of reviews of this type of camera here. 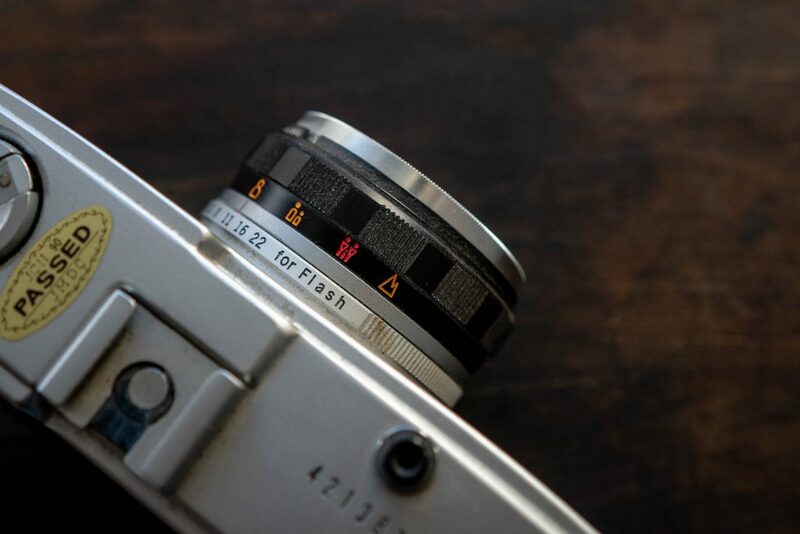 Fixed lens rangefinder cameras often look similar to zone focus cameras, the main difference being that they have a focusing aid inside the viewfinder called a rangefinder. 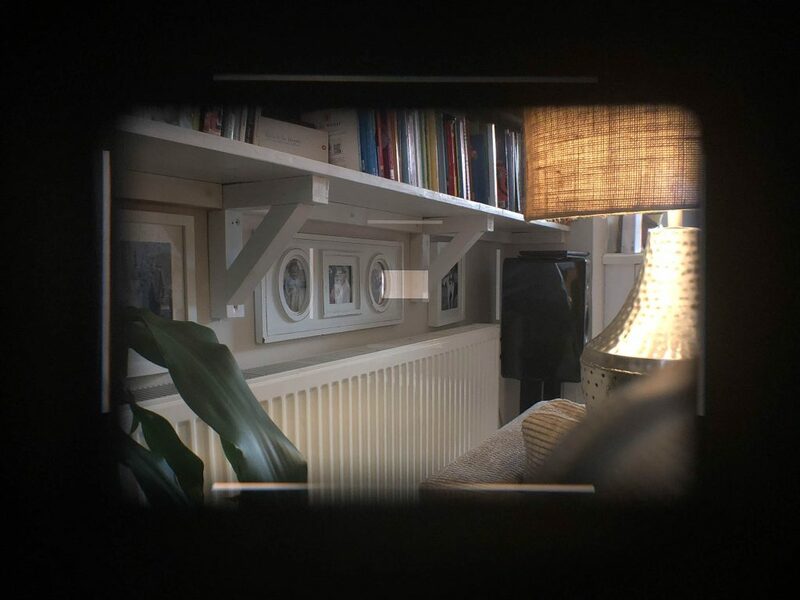 A rangefinder is essentially a series of mirrors inside the camera that, via a separate window to the viewfinder, overlays a rangefinder “patch” in the centre of the view through the finder. This rangefinder patch allows you to triangulate the subject distance to obtain correct focus. Sound complicated? It’s not, you just line up the little image in the middle of the viewfinder with the rest of the image and you have correct focus. These cameras also range from fully automatic to mostly manual, and often have built in light meters. Again, they make a great option for the beginner for the same reasons zone and scale focus cameras do. You can find loads of reviews of this type of camera here. 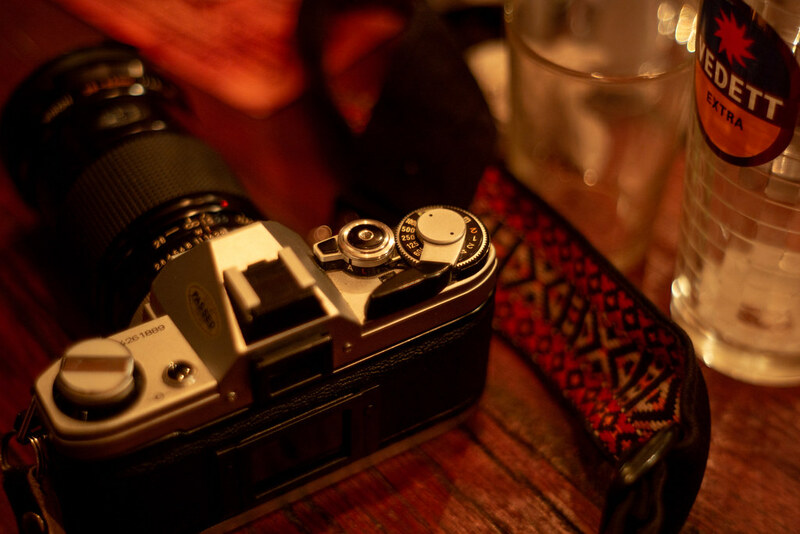 Similar to the fixed lens rangefinder cameras though fewer of them have automatic features. 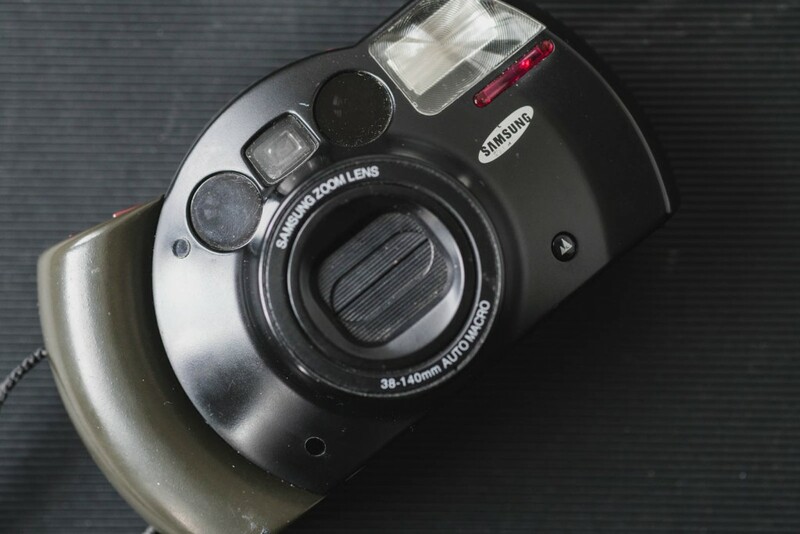 The main benefit of this type of camera is that you can change the lens, though there are limitations to what sort of lenses usefully work on a rangefinder. These sorts of cameras are also very popular, with the most popular ones being very expensive. Some of the more affordable ones are as such because they are less reliable. Good lenses can also add a wad of cash too. 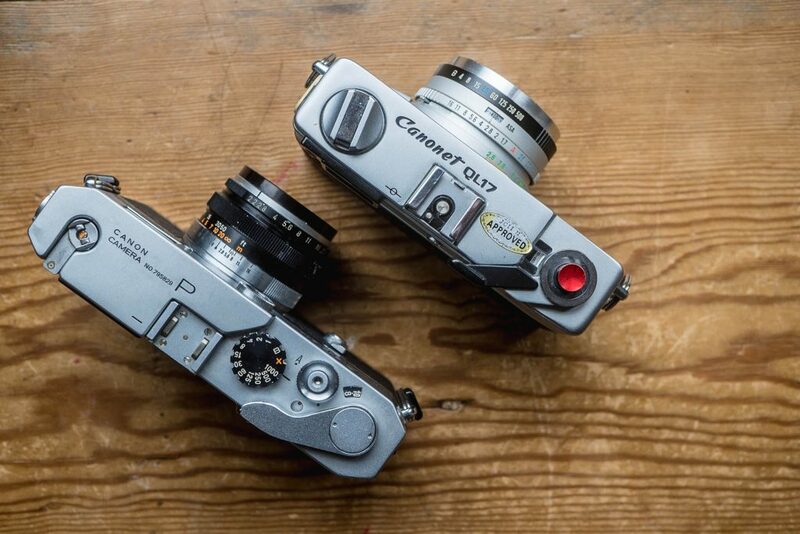 Because of this, personally, I think there are better option for the beginner than this type of camera – though I’m sure some would disagree, especially if you can afford a nice one! 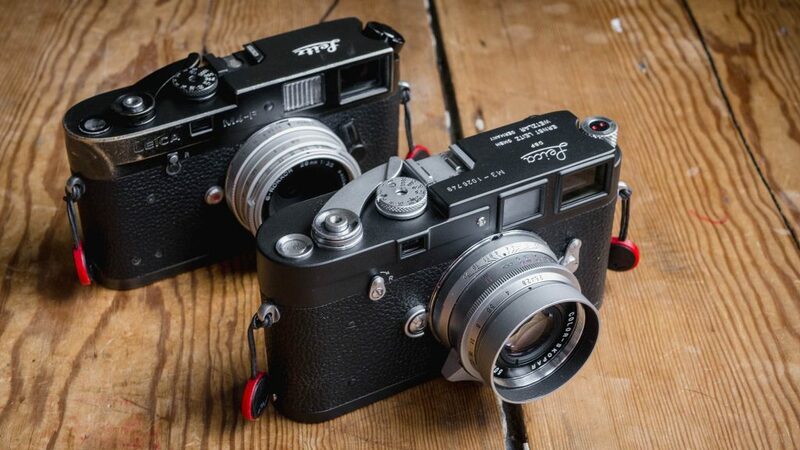 If you want to know more about rangefinder cameras specifically, I’ve written a fairly in-depth post about them here. There are also plenty of reviews of different models to be found here. 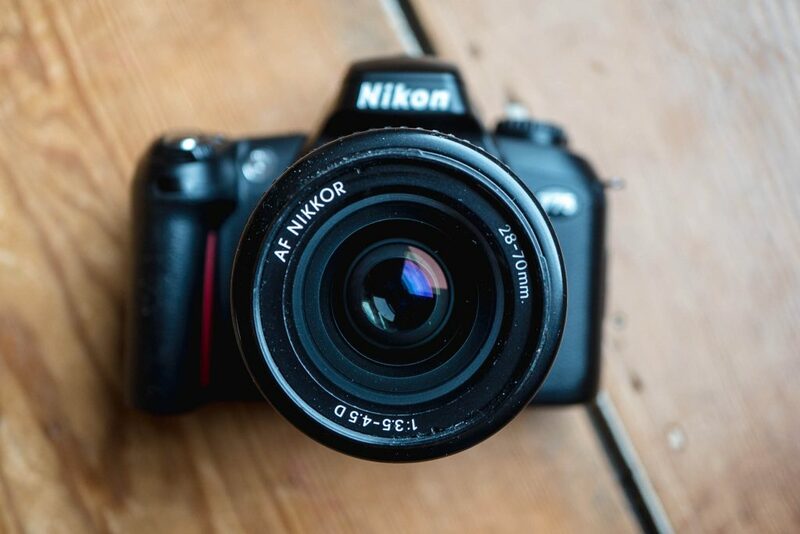 In simple terms an SLR, or Single Lens Reflex camera is one that allows the photographer to get a pretty good representation of what the photo will look like just by looking through the viewfinder. Light travels through the lens, is reflected via a mirror and prism, through the viewfinder, and into the eye of the user. As such, framing the photo is pretty much a “what you see is what you get” experience. This is different to all the other types of camera above that have an offset viewfinder that’s separate to lens. It’s my belief that SLR film cameras make some of the better cameras to learn with, or at least they are possibly the safest recommendation. This is partly because of the the way the viewfinder works, but also because there are so many of them to choose from. SLRs began to gain popularity throughout the 1950’s and have been produced ever since. In 2018 Nikon and Canon’s flagship pro-spec cameras are still SLRs. 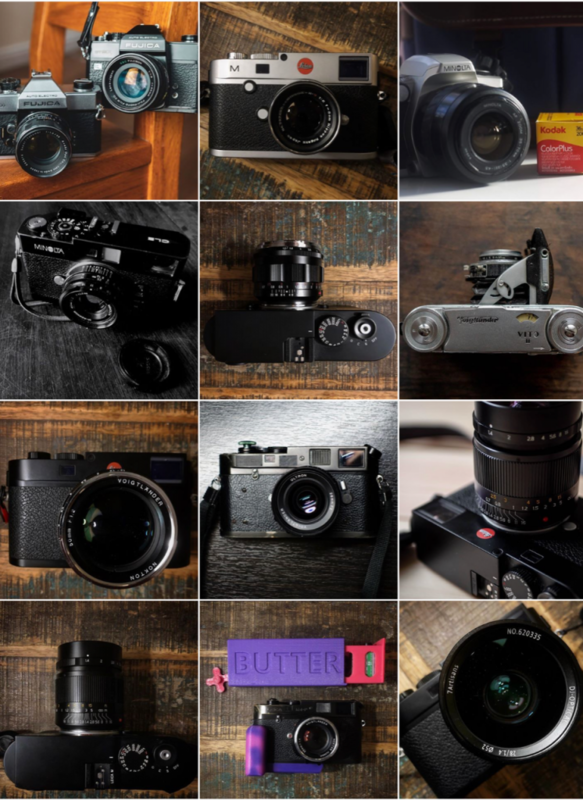 The result of this is that there are stacks of SLR cameras out there to choose from ranging from fully manual exposure and focus to fully automatic, and every possibly combination in between. The trick, of course, is finding one that suits you. Though not always the rule, it’s fair to say that the later the camera was made the more features and/or automations the camera will have. Early SLRs were very basic, with very late film SLR cameras having very similar features to early digital ones. 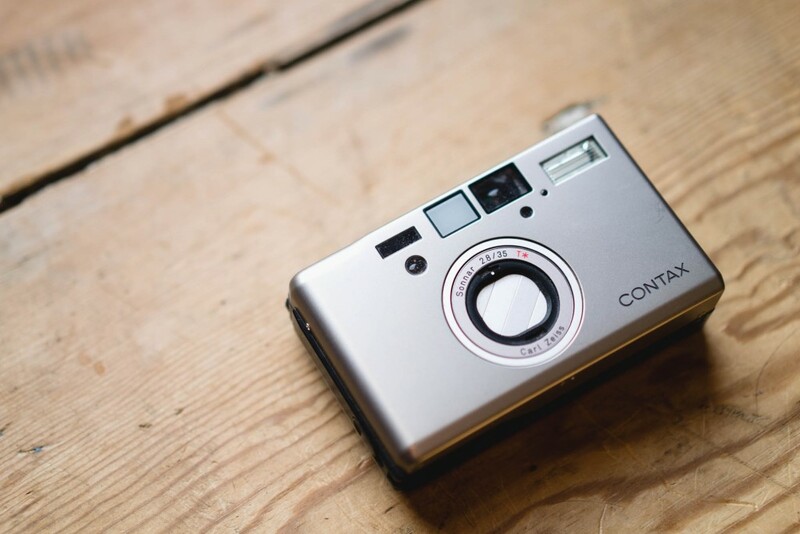 It’s also worth noting that later consumer level cameras had more automatic features that made them more like point & shoot cameras, with enthusiast and professional models having loads of features that can become quite overwhelming to the beginner. 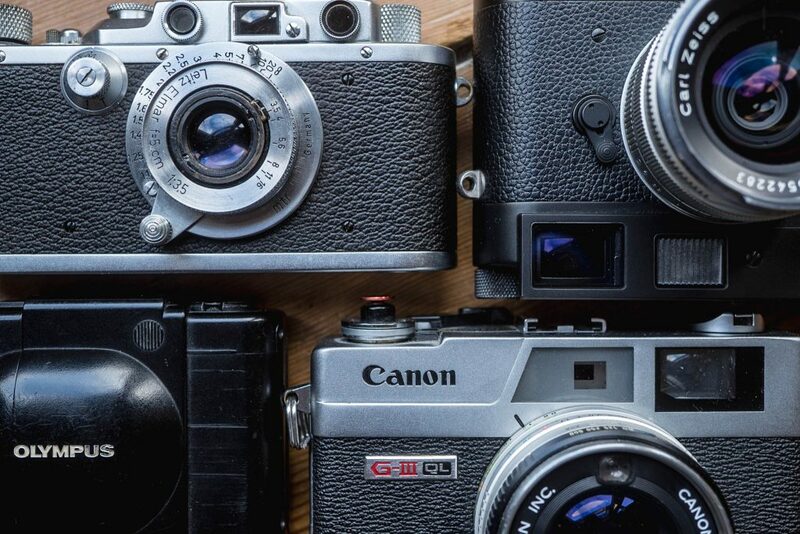 As such your motivations for shooting film and indeed the way you learn will define what what makes the right SLR choice for you. One final tip if you’re thinking of buying an SLR: you’ll need a lens. My recommendation would be to either get a 50mm “prime” lens or a “kit zoom”. You shouldn’t need to spend more than £100 for either of these options. The 50mm lens will be better in lower light, the zoom will be more versatile in day light. My final tip is probably the most important tip of all. Once you’ve chosen a camera, get shooting with it and try and forget about it as a thing. Yes you will need to learn how to use it, but think of that as learning photography and not so much learning about cameras. It’s almost inevitable that you’ll come to a point that you think a different camera would suit you better. But when you do, the chances are, you’re still a long way from actually needing to “upgrade”. In all hobbies that involve gear there’s a thing called GAS or Gear Acquisition Syndrome. I’ve written a fairly tongue/in-cheek post about some of the different forms this takes in photography here. The reality is, it’s an affliction a lot of photographers have. It often comes about through a dissatisfaction with the camera you own, and a feeling that if only it did this other thing, or had that other feature you would be a better photographer. In reality, this is probably rubbish! The chances are almost infinitely greater that you’re using your camera as a scapegoat for some sort of lack in your abilities as a photographer. Two phrases come to mind – both are worth keeping in mind. The first is this: “A good craftsman never blames his tools”. 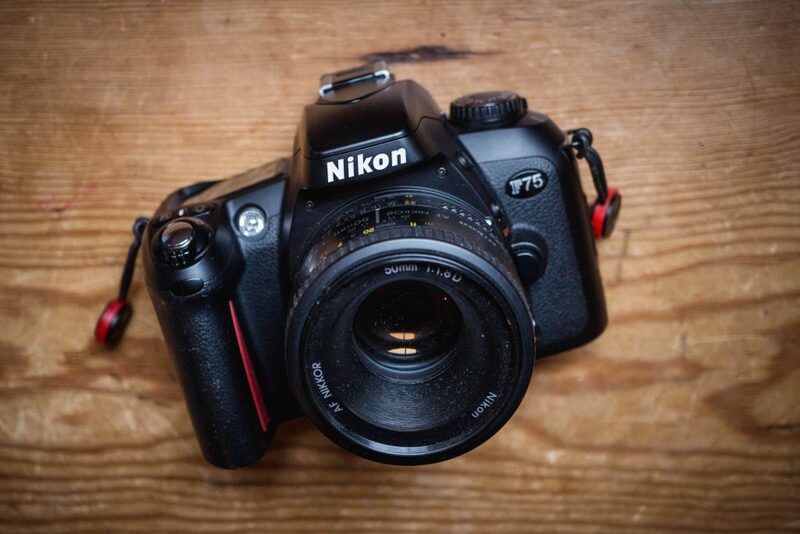 The second, which is essentially the same, but is more specific to photography is this: “A good photographer can take a good photo with any camera”. You’ll read that second phrase to the point of tedium if you get into photography and start exploring forums etc, but as hackneyed as it is, just make sure you have it in mind before you sink more cash on your second camera. If you think there is something lacking when it comes to your choice of camera, you’re much better off trying to learn a way around the problem than buying your way around it! As a final note, I just want to give you a bit of direction for further reading. This is specifically aimed at those who want to learn, but also useful for those wanting to just snap. 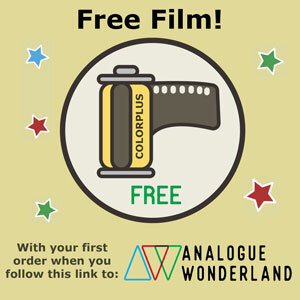 First things first, this little guide to film on Analogue Wonderland is quite useful for helping you get your head around what film you might want to shoot. Searching google for “The Exposure Triangle” will bring up loads of results, but I personally rate this page on Cambridge in Colour. It’s aimed at digital photographers, but the principals are the same. There’s loads more on that website too, though it can get a touch confusing for someone starting out in film photography through where it does differ to digital. If you want to know more about depth of field, I wrote a post about zone focusing for the Ilford website here. Learning how to zone focus is about the best way to understand depth of field, and in my view leads on to easier understanding of the exposure triangle. There’s loads more beginner and expert film photography information on the Ilford website here too. Finally, good luck, and thanks for reading! If you’ve got this far you’re one of the people I wanted to help when I set out to write this post. If you still have questions, feel free to ask below! 1. 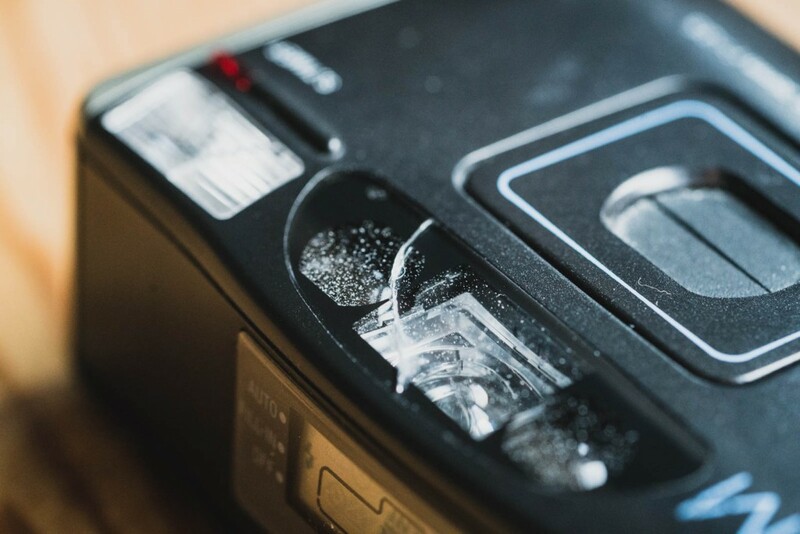 Warn your readers that many of the fixed-lens rangefinders have ruined light meters because the previous owners left the batteries installed and leakage corroded the contacts (and sometimes the circuit boards). 2. Many of the consumer-grade SLR cameras of the 1980s and 1990s are amazingly inexpensive, at least as of late 2008. Grab several while you can! 3. Interchangeable lens rangefinders like Leica and Canon are pretty costly and are appreciating. But, all indications point to someone being able to sell his rangefinder camera and lenses and recoup his initial purchase. 1. So many issues I could highlight – I chose to cover this by suggesting people have their cameras checked by someone in the know. Oops, in Item 2 above, I meant 2018. Fumble-fingers strike again. First, let me thank you for the invitation the other night and for your appraisal of my camera.Also for organising a very enjoyable evening. In my ” defence”, I did as much research on which camera to buy and equally, a good prime lens to go with it as my situation would allow.I bought it from what I believed to be a reputable dealer. Like buying a used car,there are many pitfalls awaiting the unwary/novice customer. Having said that,I was expecting the purchase not to be entirely trouble free. Due to your good advice however, I’ve obtained a very reasonable quote for a service and hopefully, a repair of the misbehaving light meter from Miles Whitehead. Thanks again for your help and for introducing me to such a nice bunch of people.Ian. I don’t think you need to defend yourself either – hopefully it doesn’t sound too much like I downplayed your knowledge? You just made for a good anecdote that backed up my point nicely. You’re right too – it is like buying a used car. So many little issues that can be unearthed. I’m pleased you’re sending it to Miles – you’ll have to bring it to show me! The Canon P camera shown with the Canonet QL17 as examples of a fixed-lens rangefinders is actuality an interchangeable lens camera. It has a Leica 39mm screw lens mount. The Canon P is a wonderful camera – has frame lines for the 35mm, 50mm, and 100mm lenses. 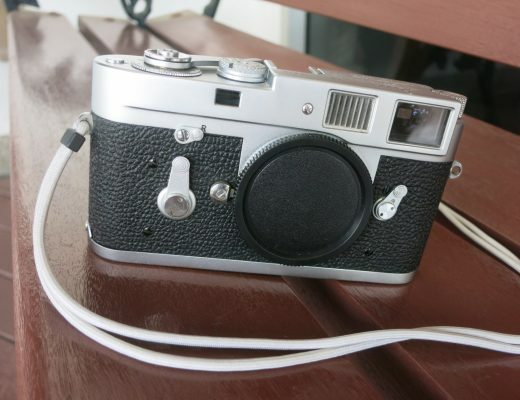 Think of it as a poor man’s Leica M2. The caption under the Pentax Spotmatic with the 50mm f/1.4 Super Takumar or SMC Takumar states: “A 50mm prime lens with manual aperture control”. That is a confusing statement depending on what you mean by “manual”. 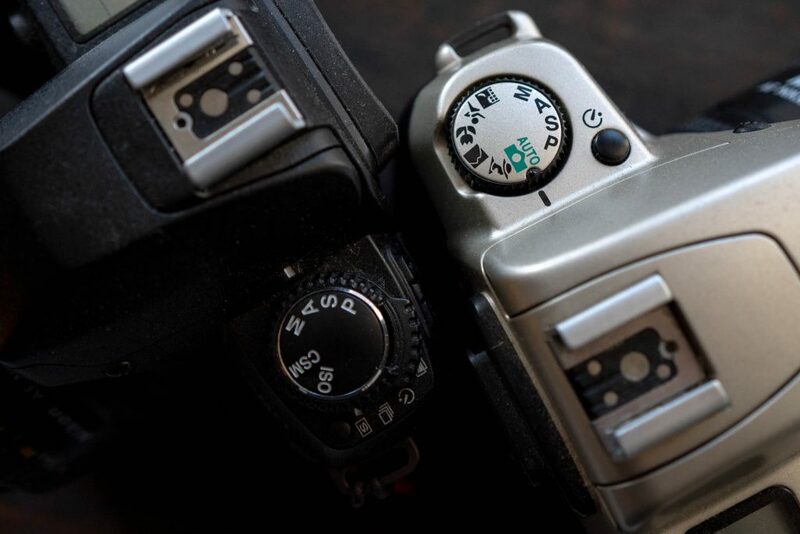 SLRs of that era all had automatic diaphragms meaning when you push the shutter release the camera will automatically stop down the aperture. There were lots of manual lenses that you have to close down the lens aperture yourself before taking the picture. The viewfinder gets dark when you do this. Typically they were T-mount lenses and would fit a wide number of cameras with the correct adapter. Another class of manual lenses were known as “pre-set” lenses as there were two aperture rings on the lens. One ring you “pre-set” to the f/stop you want and the other ring you turn until it stopped at your selected aperture., then you would press the shutter to take the picture. My 1955 Hasselblad 1000F came with pre-set lenses. When you sated “A 50mm prime lens with manual aperture control” I think you meant that the user had to select the aperture rather than have the camera make the decision for you. The landmark camera of 1976 was the Canon AE-1 that would select the aperture for you based on your shutter speed (shutter preferred auto exposure) and the light. A few years later in 1981 Canon introduce the AE-1 Program that did everything for you and that was the start of the infamous “P” mode. As for the Pentax. Of course, but to what extent does this stuff need to be understood by the beginner? How much longer could this post have been if I went into all of these details? The purpose of this post was simply to introduce concepts, rather than expand on them to this degree. To someone who understands about manually set auto-aperture lenses my captions might seem thin, but to someone who doesn’t have a clue about these things “manual aperture control” is enough to begin to grasp the concepts I’m trying to explain. 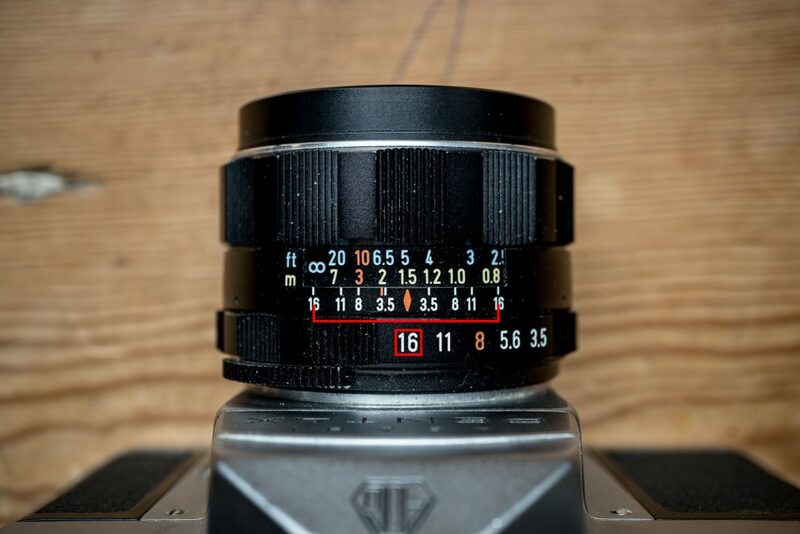 One thing worth mentioning for digital shooters: when shopping for a film SLR, consider if you can adapt the film lenses to your digital camera, especially mirrorless, as they take more adapters than DSLRs do. I think adapted lenses on mirrorless cameras is a lot of fun! LOL, reminds me of an oil forum where someone asks what brand oil is best for their car and the thread can go on endlessly while others go “not again”. After it dies it gets asked again six months later. Really good and valuable piece of writing! One nice advantage of medium format for the beginner is that he/she gets feedback sooner than with 35mm. (just taking a dozen shots instead of having to wait to take 3-dozen shots). Thanks for taking the time to write it all down – this sort of article is the sort of gem that I remember the early web was full of, before social media took over! Nicely written Hamish. Vague but informative – the two are not mutually exclusive are they? You don’t want to go in to too much detail, otherwise the article becomes more of recommendations. The key is really to help the newcomer to make their own decision. This can be done by asking questions to lead them to the right choice for themselves. The newcomer really has to be aware of this fact if they want what’s right for them. I have a colleague at work who thought he wanted a film SLR. I gave him a loan of a Canon EOS 750, not a huge camera but an automatic SLR. After using he decided that actually a smaller camera would suit his needs. So asking questions helps! Keep up the great work with the blog. Thanks Ian, bang on – that was exactly my approach! This a really comprehensive article that must have taken a lot of work to prepare. It deserves to be read by any beginner. I’ve been shooting since 1980, and I still keep changing my mind on what is the best camera! 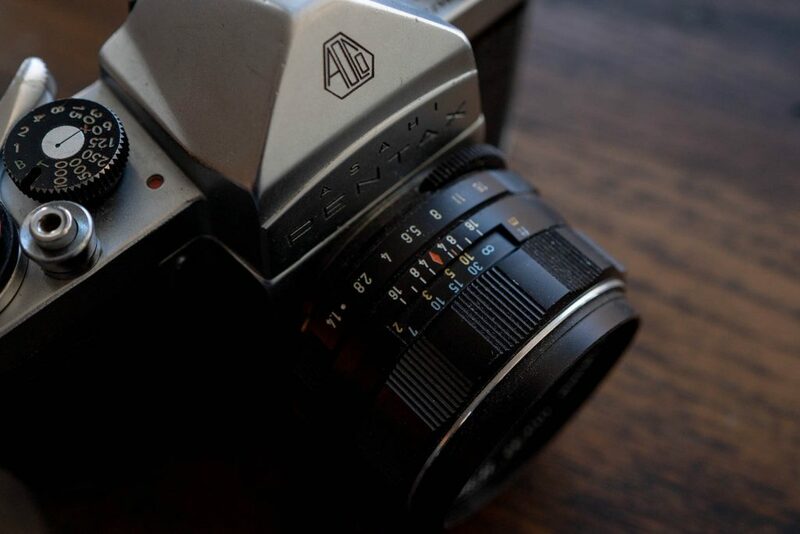 I started off with a Praktica slr, so I have generally been drawn to slrs as that is what I know. I’ve had a go with TLRs, (Rolleicord Vb) , 35mm rangefinders ( Olympus 35rc, Leica 3f, zorki 4k, Leica M4-2) Medium format slrs (Mamiya 645 1000s), medium format folders ( zeiss ikonta) and have found plenty to like in all of them. Digital cameras come and go, even odd things like a Sigma DP1 was the right camera for a while. I do agree that the more you understand about about cameras and photography, the more you can understand the right questions to ask when thinking about camera choice. For me the “right answer” is constantly changing.